The Guilford College men’s soccer team only played four games this season, but it already has won more games than last year. The men’s soccer team won its first three games of the season and then dropped the next game to Averett University, 1-0. In the nonconference schedule last year, the team lost all nine games and only scored five goals while giving up 21 goals. Through four games this season the team has scored nine goals, while last year the team only scored 15 goals in 18 games. Eight different players have scored for the Quakers with only first-year midfielder Giovanni Santibanez scoring two. “We’ve scored a few goals in the first games that have come from a lot of things we’ve been working on in the spring and the fall,” Speed said. The team is focusing on scoring a lot of goals. The offense has been the main focus, as they have moved to a three-man defense, four midfielders and three forwards. The goal of the increase in offensive personnel is to create a lot of chances to score. The team started out the season with a 3-2 victory over Huntingdon College in Alabama. The offense started quickly, scoring three goals in the first 28 minutes of the game from senior defender Matt Wisniewski, first-year Louis Gozan and Santibanez. 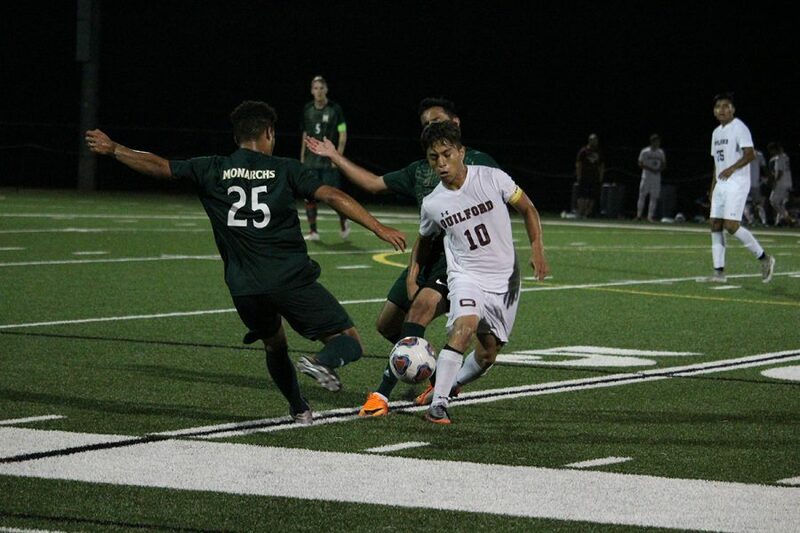 Guilford squeezed a 2-1 victory over LaGrange College with a goal from first-year Rodrigo Gudino in the 105th minute. Many new faces that have joined that team have been getting opportunities to play and a few have scored goals. While the team has been focusing on offense, the defense has had to adapt to only have three players and being less capable to defend the goal. The Quakers were picked 11th in the Old Dominion Athletic Conference preseason poll but hope to do better than that. Speed expects the team to place somewhere from fifth to eighth but hopes for an even better placement in the competitive ODAC. 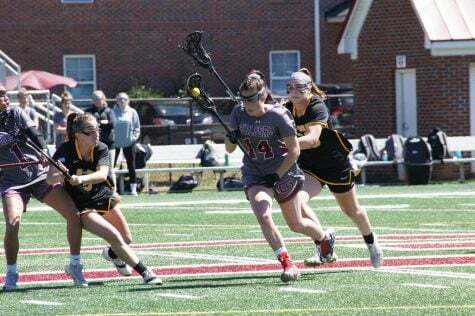 Guilford’s next game is against Southern Virginia University on Monday, September 17 at 7:00 p.m. in the Armfield Athletic Center.